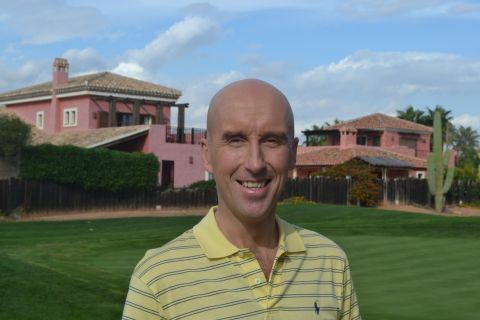 It is our pleasure to announce that on Monday 10th November, Kirk Lovell shall join the team at Desert Springs Golf Club to commence his role as ‘Golf Services Manager’. Kirk has previously held the position of Golf Services Manager at The Belfry, The Goodwood Estate and latterly Celtic Manor Resort; the home of the 2010 Ryder Cup. Kirk will undertake clear “ownership” for the day-to-day golf operations at Desert Springs. He is responsible for ensuring that these operations are consistently managed and run with those attributes normally associated with one of Europe’s leading golf resorts. This includes all member ‘touch point’ areas of outside operations, academy and practice areas, shop services and tournament and activity play, among others. The Golf Services Manager will provide visible leadership to the Management Team relative to key golf events and activities programming, recognising the need to balance multiple interests, perspectives and desires relative to the golf experience within The Vision of the Club. The Golf Services Manager is the ‘face’ of the Club in these most important Club amenities. In doing so, he will be a proactive and visible ambassador of hospitality, committed to service excellence and the delivery of the best possible golf experience for our owners, members and guests. During the next few weeks Kirk will be bedding into his new role and is looking forward to meeting with our Members and Owners. Kirk’s office is located at the Golf Administration office within the Clubhouse and we are confident that you will join us in welcoming him and wishing him the best in his new role at Desert Springs.